Heavyweight style combines with lightweight construction like a Memory Foam footbed and our feather-wood heel to form a boot that feels as good as it looks. 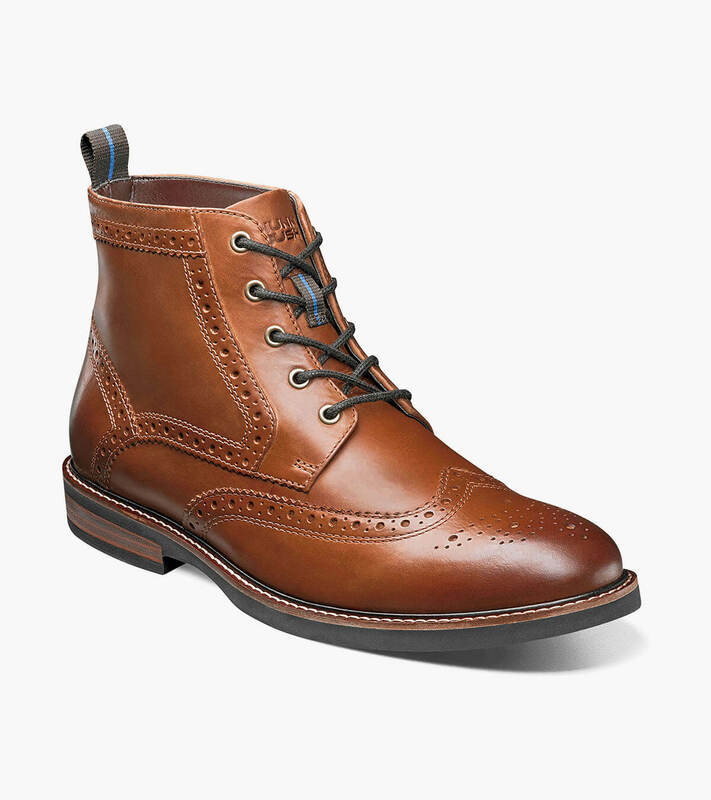 Casual, contemporary, and versatile enough for workweek and weekend alike, the Nunn Bush Odell Wingtip Boot is the catch of the season. Our KORE technology is biomechanically designed for walking. As it propels you forward, the sole of the shoe is designed to support and cushion your every step.